Craftsman: the very name alone is synonymous with construction, and now just because of the root meaning of the name. When it comes to efficiency, sturdiness, and just getting the job done right, no one does it better than Craftsman. Whether you’re working on the car or fixing something wrong with your house, Craftsman will always have you covered. But we’re not just looking at any of their tools today, no today, we’re looking at a very particular subset of their lineup: Their power tools. Kicking off our list on the right foot, we have the Nextec Right Angle Impact Driver. For those not in the know, an impact driver’s job is to deliver sharp, a rotational force down on vehicle screws, in order to loosen them up in case they’ve been rusted or corroded in place. And few are better at that than the Nextec Driver. The driver has to clamp down onto the screw in order for the impact to be driven correctly. And you don’t want to do too much damage, or else you’ll trap the screw in there for another reason. Fortunately, the Nextec has both issues covered, coming equipped with a quick connect clamp and an electric brake which solves both of these potential problems before they even become problems. We’re not sure if you’ve noticed, but car screws tend to be inconveniently placed. It always seems that the one that breaks is the one that you have seemingly no hope of reaching. And it doesn’t help that the tools meant to fix it aren’t much better, either being too long or too wide to reach comfortably in there. Which is why this impact driver goes for a small, ergonomic right angle design that comfortably fits into pretty much any crawl space it needs to. The price of this product is a tricky thing. On the one hand, it won’t cost you all that much in retailers like home depot or Lowe’s, but if you try going online, the price can really start jumping. So, for this product, we recommend you look for a price that’s to your liking. Got a tight, tough as nails lug nut that just won’t budge? Then what you need is an impact wrench, an electric power tool similar to a socket wrench that can get out even the toughest nuts with minimal exertion needed on your part. 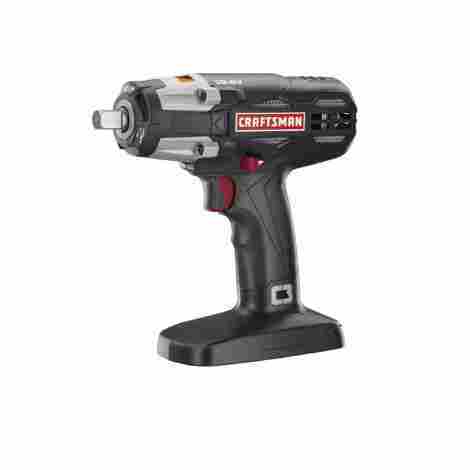 And few are better in that regard than the Craftsman C3 Heavy Duty Impact Wrench, our #2 spot. Because this thing is meant to get out the screws, nuts, and bolts that regular tools can’t, it stands to reason that the amount of torque that they can put out is a big selling point. And this impact wrench can put out upwards of 300 ft-lbs. of torque at over 3,000 RPM. Which is, as you can probably imagine, quite a lot, and more than enough for most stubborn bolts. If your truck or car’s wheels need replacing, and you need to break out the impact wrench to do it, and it’s the middle of the night, you’re probably a tad too frustrated to deal with using a flashlight and holding it in your mouth while you work. Thankfully you don’t have to, as this impact wrench comes equipped with three LED lights that will give you all the vision you need. Once more, the problem with this one is the price. But rather than the price of this impact wrench being inconsistent, it’s just consistently pricey. It’s likely one of the best impact wrenches on the market, but you will be paying a price that reflects this, make no mistake. 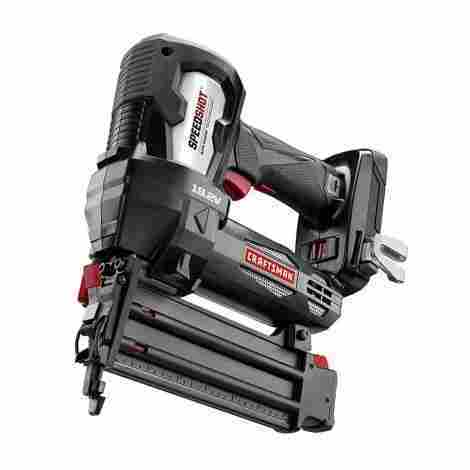 Rounding out our top 3 segment, we have the Craftsman Brad Nailer. Nailguns need no introduction and require little in the way of explanation. They’re basically tools to drive nails or staples into wood and other surfaces when you need small nails in something very fast. And if that’s what you’re looking for, you can’t go wrong with the Brad Nailer. Nothing is more frustrating than when you get on a roll, you reach the final set of spots you need to nail, you reach that last spot and... the gun is out, and you have to reload in order to finish. The word “buzzkill” doesn’t even begin to describe it. Which is why this nailgun includes a low nail indicator to warn you that you’re running dry, so you’ll know when you’ve run out. One pet peeve people tend to have with nail guns is that they usually need a big long air compressor hose that’s incredibly hard to deal with. However, this nail gun only needs a battery and a charger with which to charge up that battery. Now you can take your nail gun wherever you need to use it, without having to worry about a big bulky air compressor weighing you down in the process. Like all high-quality craftsman power tools, this one is a tad bit pricey. It’s rare that you’ll find a craftsman power tool that isn’t within the triple-digit price range, and unfortunately, this one is no exception to that. 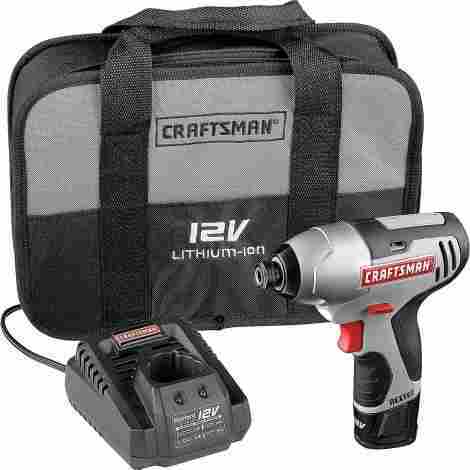 In the #4 spot goes the Craftsman Nextec 12.0v Impact Driver Kit. This kit includes all the basics you could possibly need when buying an impact driver, including said impact driver, a 12V Lithium Ion battery, a charger for that battery, and a case. But the benefits of this kit go beyond simple convenience. When you have a driver this small, it makes sense for it not to be quite as powerful as its bigger cousins. But with that said, it’s nowhere near weak, it’s just not as strong. But nonetheless, it will still get most jobs done for you, and its soft rubber handle will ensure that you don’t tire out while using it. Some speeds are better for some situations than others, and as such, this impact driver comes equipped with several different speed settings, so you can tackle any problem you’re faced with exactly as you need to. Being of a smaller size and less power, even when you have the other items like the battery and charger in the bargain, you’ll find that this craftsman power tool set won’t cost you quite as much as the previous entries, making it a very good deal in that respect. 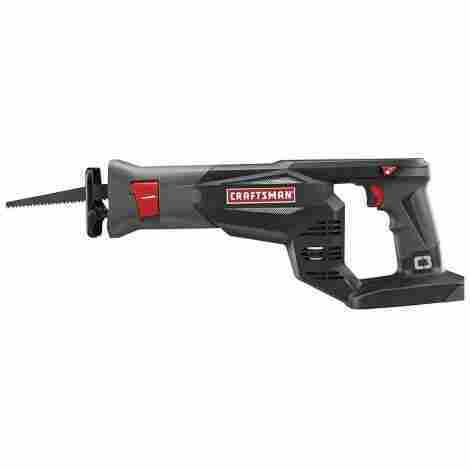 Coming in at #5, we’ve got the Craftsman 19.2V Reciprocating Saw. A reciprocating saw’s job is to, in essence, saw things in half that are too small to be worth the time of a chainsaw, but are too tough or cumbersome to fit on a table saw. This includes pipes, thick pieces of wood, and pieces of fence, still mounted in the ground. When dealing with reciprocating saws, you have one of two options. You can either get one that works, but in order to change out a blade for another, you need a hex key. Or you could go the smarter way and get one that only needs you to flip a switch at the blade end of the reciprocating saw, and change it out that way. This Craftsman is the latter. If you’ve ever used a reciprocating saw before, then you know that once they get going, nothing is going to stop them, least of all the hand that’s holding them. The kick on these saws, especially when they hit their target, is infamous. So, the combat this, the grip of this reciprocating saw is a soft-grip with an over-molded handle, topped with an adjustable shoe. Now you have exactly the comfort and control you need to get the job done right. So far, this is probably the cheapest entry on the list. 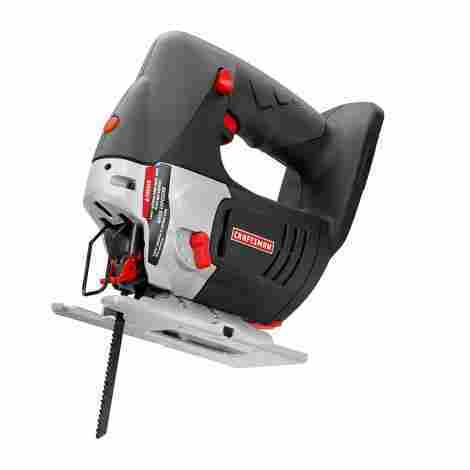 There are likely cheaper tools on the list ahead, but for what we’ve seen so far, this power tool won’t cost you nearly as much as the earlier entries. 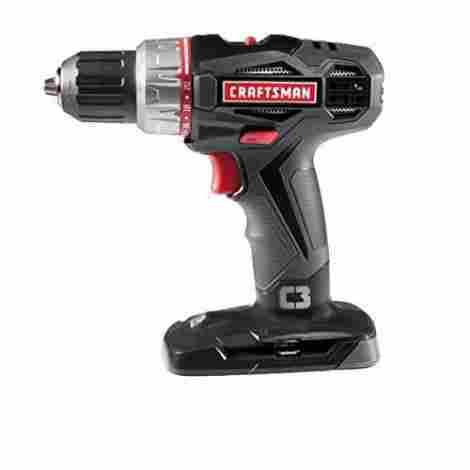 In our #6 spot, we have the Craftsman ½ inch Drill/Driver. The great thing about this power tool is that it’s both an impact driver as well as a power drill. So, if you lack the money for both of those tools, you can just get this one and cut out the middleman. So what else does this device have to offer besides that? Let’s take a look. Sometimes you need some drilling done in a space that a lot of larger drills aren’t going to want to go. So, when that happens, you need a smaller drill to fall back on. 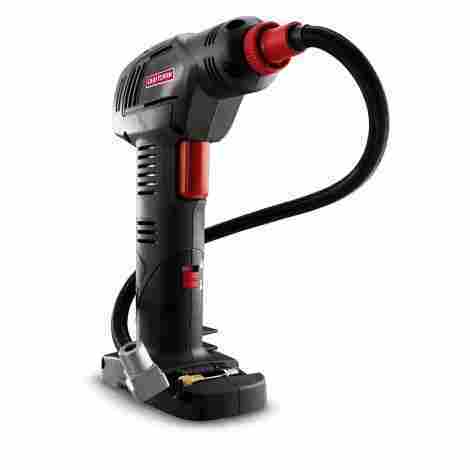 Enter this Craftsman drill, which is just small enough to fit into those spaces, while still powerful enough to get done what you need to be done. Some jobs need more torque, some jobs need less. For either job, this drill brings with it an amazing amount of adjustability. Not only can you completely adjust the torque of the drill, but also the clutch and even the sensitivity of the trigger for added speed control. On average, this is probably one of the better deals on this list, because you get both an impact driver and a drill, and for less than the previous entry, no less. So, if you need both of those power tools, but are on a tight budget, as always, Craftsman has you covered. 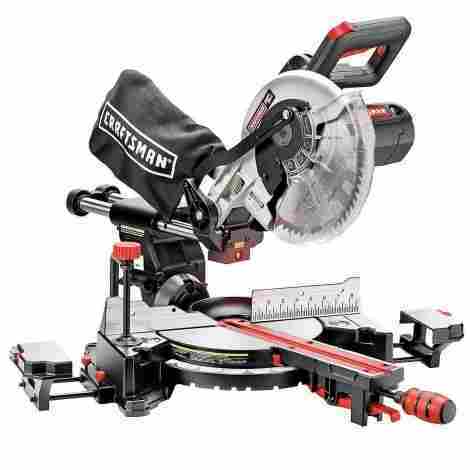 At #7, we have the Craftsman 10” Single Bevel Compound Miter Saw. Most people would know this kind of tool as a power saw, or a table saw, but a Miter Saw is technically the correct term for this machine. Basically, it’s the big dog saw, the one you use on the stuff that other saws can’t handle. So, let’s see what sets this saw apart from its peers. Most of the time, it’s easy enough to know where and how you’re going to saw by just lowering the saw to the wood without turning it on. However, some of us appreciate that extra surgical precision, which is where the laser comes in. The laser helps you get exactly the right angle and target that you’re looking for. Most miter saws need a bit of set up when you get them out of the box and set them down. Do you want to know the setup process for this one? You take it out of the box, you set it on the table or miter stand of your choosing, and pay attention for this last part, you plug it in. And then you’re ready. Easy to set up, easier to use, what more could the average joe ask for? Unlike the first few entries in this list, it makes perfect sense that this tool would be expensive. It’s a big, powerful miter saw, so of course, it costs well into the hundreds on average. That’s how you know it’s good. Well, you’ve got a flat tire. And miles away from the nearest station to get it replaced and refilled. And you would replace it with the spare, but it’s out of air too. You seem out of luck, don’t you? It seems pretty hard to dispute that. 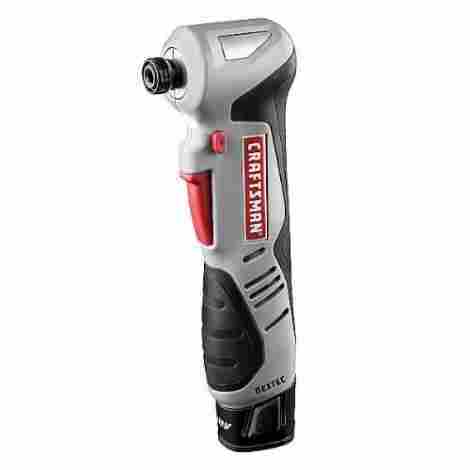 Unless, of course, you have our #8 pick and the first of our final three entries, the Craftsman Cordless Inflator. Despite our earlier analogy, it isn’t just car tires that this inflator can work its magic on, it’s any kind of tire and anything besides that. From balls to beach toys, to frankly anything that can be inflated, can be inflated with this. It can be hard knowing when is enough air and when you have to turn it off. Thankfully, the inflator knows for you. Utilizing a backlit digital display, this inflator can either be given preset instructions for how much air to pump in, or it will play it by its programming and know exactly how much to pump in. Obviously, something like this isn’t going to be cheap, but thankfully, on average it isn’t the most expensive thing in the world. A little over a hundred should be enough to get you one of these. Ratcheting is one of the most common practices when building, well, anything really. They keep things nice and secure a lot better than most screws will. However, putting them in and taking them out is a tedious process like no other. Which is where our second to final entry comes into play, the Craftsman Max Axess Power Ratchet. Because we’re pretty sure you don’t feel like trusting our machine overlords to know when to go forward or back on a ratchet, this one comes with a switch for you to do it yourself. Now you’re probably wondering why you don’t just twist it like a normal ratchet then? Well, if you’re installing or removing a bolt from a tight space where that isn’t possible, then this will come in handy quite a bit. Having an LED light is a definite boon for a ratchet because half of using a ratchet is knowing when you’re done and it’s time to pull the bolt out. And if you’re working in a heavily shaded area, then you may not know when that right time is. Which is why this power ratchet comes equipped with an LED work light. While it does cost somewhere into the hundreds range, it makes sense that such a small device would not cost all that much when you get right down to it. For our final entry, we have our #10 spot, the Craftsman Laser Trac Jigsaw. A jigsaw is there, as you can imagine by looking at the thing, for more precise cuts. When you don’t need the blunt force of the table saw, or the raw might of the miter saw. This is when you’re cutting sheetrock and other delicate projects. And this jigsaw more than lives up to the challenge. If there’s anything about a jigsaw that tends to annoy people about using them, it’s moving around when cutting. Telling whether you’re being too delicate, or too rough with the thing you’re cutting. Fortunately, this jigsaw has the solution. Utilizing a series of four orbital positions, this jigsaw makes fine or aggressive cutting a complete non-issue. If there’s anything about a jigsaw that most definitely annoys people, it’s staying on target and keeping an even cut. Luckily, we have the part of this jigsaw that got top billing to handle that. The LaserTrac system is an ingenious innovation on the jigsaw, helping keep newbies and the visually impaired on track no matter what. While not the cheapest thing on the list, this is still nonetheless a very good deal for a jigsaw, usually coming around a little under or a hair over $100 in the retail market. If there is an all-around better power tool manufacturer than craftsman, we haven’t found them yet. And trust us, we went looking. All kidding aside, all in all, Craftsman really does do it better than pretty much anyone else. And even if people do it better, they don’t do it as consistently as Craftsman does. They’ve been doing it almost longer than anyone else out there, and they’ve gotten very good at their craft, pun intended. And it isn’t just power tools that they do right, we want to stress. They do almost everything they manufacture justice, putting in the same love and care and precision that they do for anything else. Craftsman is the masters of tool manufacturing, and their power tool lineup alone proves that. This was a broad concept to cover, and we’re sure we left a few out in the proceedings, but we like to think we covered as much of their lineup as we possibly could because it all deserved mention. Unlike a lot of the lists we do, this wasn’t even in any particular order, since it wasn’t focused on a single type of tool. This was simply a showcasing of the repertoire of one of America’s greatest tool manufacturers out there. Coming up with criteria for this list was quite hard since there wasn’t a single tool to be the focus for this list. We couldn’t really dig into the nitty gritty of the tool in question and use those as criteria, instead of having to go broader. And while it may seem like we’re grasping at straws sometimes, we like to think we have a comprehensive list. With that said, let’s get to it. Obviously, a power tool, if it isn’t plugged into the wall by default, would be powered by battery packs. They’ve been industry standard for decades, and it’s easy to see why. They typically last a good while, they make your tools able to be taken with you anywhere you need them to go, and that’s really all that they need to do for you. So, of course, a big criterion for a list of power tools would be how much power they consume from those batteries. We would bring this down on the batteries themselves but considering you can put almost any battery pack into almost any power tool regardless of make and model, we instead turned to the tools themselves. Because the batteries could hold years’ worth of battery life, but none of that really matters if the tool gobbles it all up in five seconds. Structural design: A big, bulky piece of hardware, does not ergonomic design make, friends. Any power tool worth its salt needs to make usage as easy as possible, and as versatile in different situations as possible. That means everything from being sleek and thin enough to fit into small spaces, to being comfortable enough to hold that you don’t get tired while using it. Automation: This is simple enough, power tools are meant to make things, to a certain extent, automatic. While the user is meant to pick up some of the slack, the hardest parts are left to the machine to figure out. This makes power tools particular popular among the older folks who still love tinkering with things, but no longer have the upper body strength to handle the more menial parts of the task. It’d be a pretty lousy power tool if it broke five seconds after you bought it, wouldn’t it? Indeed, the easiest criteria by far, but one we kept on for the principle of it, was durability. This is one area that Craftsman more than had covered. They’ve been doing this for a long time, so they know how to make something that isn’t going to break anytime soon. When Craftsman builds something, they build it to last. If something is electronic, then it’s going to require some amount of setup and instruction to actually use, it’s just how things work. However, that doesn’t mean you can’t make things easier for the person buying it. This is something we went over with the Miter Saw a few pages back. As long as you can make the initial set up and the act of turning it on as easy as possible, the user will adapt to any complications that arise afterward. As such, we judged each entry by how easy they were to pick up and use, which frankly wasn’t all that hard. 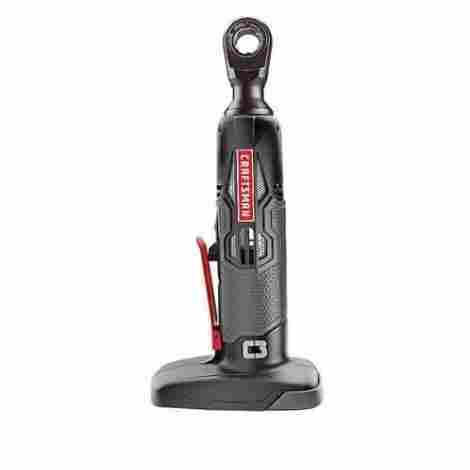 One of the best things about Craftsman is that their products are incredibly user-friendly. And finally, one of the more complicated entries on this list, price. Complicated because, as you’ve likely seen by now, the price of these items tends to vary wildly from tool to tool. This is mostly due to the fact that, well, varying size means varying price. It should come as utterly no surprise that the big miter saw costs more than the tiny auto-inflator. That’s just how thing tend to work. And yet, there are smaller items that still manage to cost more than items of equal size and relative ability on this list. And a lot of that comes from the fact that different tasks take a lot more machinery and technicals than others. So, for this list, we simply asked if the items we screened made up for the large costs they were asking for with sheer ability. If they did, then they made the list. In our final segment, we go over the most frequently asked questions about Craftsman power tools. Which, to be fair, may as well be the most frequently asked questions about power tools in general since there really isn’t much of a difference. Still, though, the questions are still there, and they are worth answering. Power tools are rather simple machines, though, as they are designed to be used by as many people as possible. So, there aren’t many questions to be answered. But the ones here are what we felt were the most vital. Q: We’ve seen a lot of power tools so far, and I’m a very handy person who loves to DIY a lot of my projects. Which power tool would you say is the most essential, that is just a better idea to have than not? A: Definitely a power drill. Using a screwdriver is hard, tedious, and half the time, you don’t even screw it in as far as you really should because you don’t have good judgment. You can only turn as far as your finger strength will allow, and if you don’t measure up, then you may think you reached the end when really, you had a good few inches to go before it was truly secured. A power drill doesn’t have this problem, as it keeps driving that screw in until it’s as far in as it will go. It’s also practically mandatory for drilling through other objects. If you don’t have the arm strength to operate a manual drill, then going without a power drill is going to be hard, to put it mildly. Q: What kinds of folks would benefit the most from owning and using power tools? A: Lots of people, actually! Some folks may see using power tools as a shortcut, and those people confuse us to no end. Power tools are an excellent way to take the tedium out of construction projects, so you can get to the good stuff. As to what sorts of people would benefit from using them the most, certainly people with disabilities, for one. If someone has a disability that keeps them from performing more complex construction tasks, then a power tool can help keep them working. Other people who would benefit are those who work professionally in construction. Which should be obvious, since power tools are already standard practice in those fields as is. Also, people who don’t do a lot of work other than as a hobby, and don’t work out much besides, will benefit a lot from using power tools. Finally, people who are elderly and unable to perform the higher risk or just menial tasks that being without power tools can create. Q: Is there any way to make my battery run longer between recharges? A: If you’ve noticed that your battery is slowing down, losing power faster, and generally not holding up like it used to, then sorry, it’s probably time for a new one. These aren’t like computers, you can’t just dust off some nodes or flip some switches and make it run better, as nice as that would be. Q: Okay, is there any reason this is happening at all? A: Well the first cause is obvious, you’ve just had it too long and have been using it too much. The other reason may be a very common problem among electronics: you’re leaving it on its charging station too long. We know you want your battery to be running on all cylinders from the word go, but you’re frying it out from the constant stream of electricity. When the little light stops blinking, that means you take the battery off the dock. Tool Guy D, What About Craftsman Cordless Power Tools?